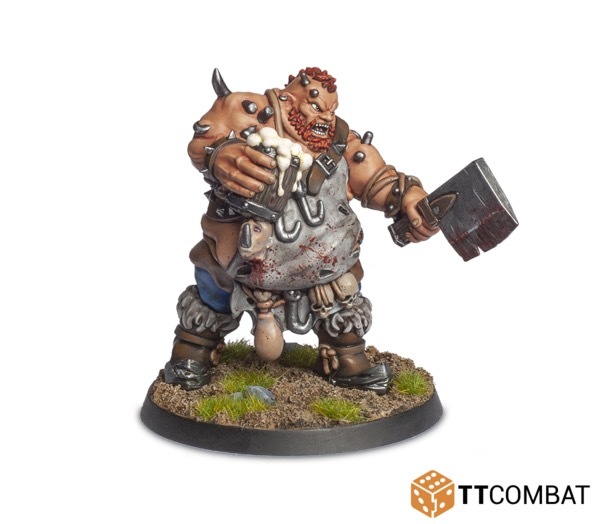 Full of food and drink, the Ogre Butcher stomps into your games! Perfect for any fantasy gaming, whether it's large regiments, smaller skirmishes, or even role-playing games, this 32mm scale Ogre will eat anything. Resin miniature supplied unpainted and unassembled with a 50mm base.